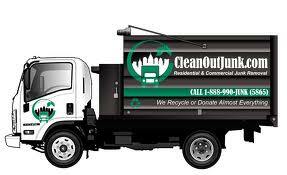 Looking for low cost junk removal? Compare prices & services to see why One Call Clean Out is the EASY CHOICE! ?Pay You For Donation Items? Pay You For Recycle Items? Pay You For Re-Sell Items? In other words, “Am I being charged by how much room my junk takes up on your truck?” Other companies use a volume based system to determine their pricing. This means that items are taken as-is and loaded into the truck without being broken down to conserve space. Things like dining room tables, entertainment centers, armoires, and sofas, as well as cardboard boxes, and other bulky items go into the truck whole, resulting in a higher price quote. Essentially, you’re paying for them to throw out air which is why volume based pricing is expensive and inefficient. Rather than charge our customers in that fashion, we came up with a solution to provide low cost junk removal. Think about this, have you ever purchased a piece of furniture at that well-known Swedish furniture store? You saw it displayed in its full glory on the showroom floor, but when you go to checkout, they hand you a box the size of postage stamp! Well, they do this to save money. By breaking down their items they are able to ship more, and store more in their facilities without using up valuable floor space. One Call Clean Out applies this same principle in both our pricing and execution of jobs which is why choosing us is a sound decision. After all, every junk hauling company takes their trash to the same place, including us. Doesn’t it just make more sense to hire the company that will get it there in the most efficient and cost effective manner? Call Now, we always answer our phones! As a company that cares, we feel it is necessary to make the items you no longer need available to families that are in need. Not only is it the compassionate thing to do, it also saves us money by not having to pay to dispose of these items so it is a win-win all the way around! Call us today so we can put your items to good use! We make sure to sort through all our customers? items and separate the recyclables from the trash. The benefit is again two-fold, first, it keeps unnecessary items out of the landfill, and second, because we get paid for recyclables we can charge you less than the competition who just throws it away. We use various methods to sell the items that you have decided to part ways with. This doesn’t mean we’re going to pay you to do the job, however, this is still a discount we can offer that no other company can! 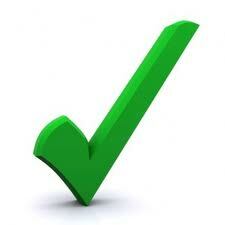 Give us a call and schedule a time for us to evaluate your items.